At Qureshi Law Firm, your legal objectives come first. We address all of our clients’ legal needs, from start to finish. Impeccable preparation has led to great success for our clients. And we deliver personal service, strategic thinking, and creative options from our experienced professionals. Qureshi Law Firm handles broad legal issues, providing businesses with advice in many industries, as well as handling dispute resolution and litigation. From the creation of an enterprise, to the early protection of that business from legal attacks, to estate planning for the creators of the business, to any litigation, our professionals are skilled in handling issues for our clients to lead to the best possible outcome. Our clients include: physicians and health care professionals, real estate professionals, entrepreneurs, oil and gas enterprises, and financial planners. We handle simple cases as well as complex, and often simple cases become complex. When clients experience this shift, the value of continuity in legal representation is paramount. It is critical to place your trust in attorneys who are confident, intelligent, and responsive when your business or other legal interests are at stake. At Qureshi Law Firm, the proof of our quality is in our client satisfaction. The attribute which each of our clients identifies as being particularly impressive is our responsiveness. We never wish a client to experience an undue delay in receiving personal and direct contact with one of our attorneys. Impeccable preparation has led to great success for our clients. Our attorneys also focus on creating cost-effective solutions, to help our clients keep their businesses profitable. Legal fees should not be a drain, but a means to a more valuable company. To that end, we offer legal strategies from the beginning of business creation to limit legal costs down the line. Also, we have recently introduced a collections practice: our clients are now demanding the money they are owed, but which they previously thought they would never be able to collect. Our mission is simple: our clients come first, and we will assist our clients with any issue. No concern is too small. Usman is a founding member of Qureshi Law Firm. Prior to founding the firm, Usman worked as a sole practitioner. Usman represents clients in many industries and professions including physicians and other medical health experts, entrepreneurs and businesses, and individuals. He is experienced in state, federal, and bankruptcy matters in the state of Texas. Working with Usman Qureshi was a pleasant experience. He is very courteous, clever and RESPONSIVE! I recommend him to all of my physician friends and colleagues. 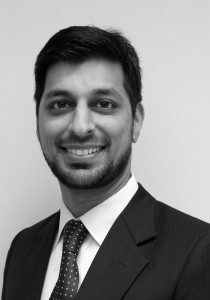 Mr. Qureshi helped us with our estate planning and asset protection. He explained the process in great detail and was always available by phone or email to answer questions. He came up with a great plan to protect my rental property and medical practice from lawsuits. I wanted to take a moment to write this thank you note for helping us with our legal needs. As you might imagine, legal matters are somewhat complex and hard to understand but you did such a great job in explaining all the details. Your guidance for our personal estate planning and help with our business start up was amazing. You made the process so easy, smooth and stress free. The thing I appreciate the most is that you are easily approachable and very responsive to our questions and needs. If we ever wanted to make a change in any document or had any concern, you immediately addressed that issue. I sincerely appreciate all your help.